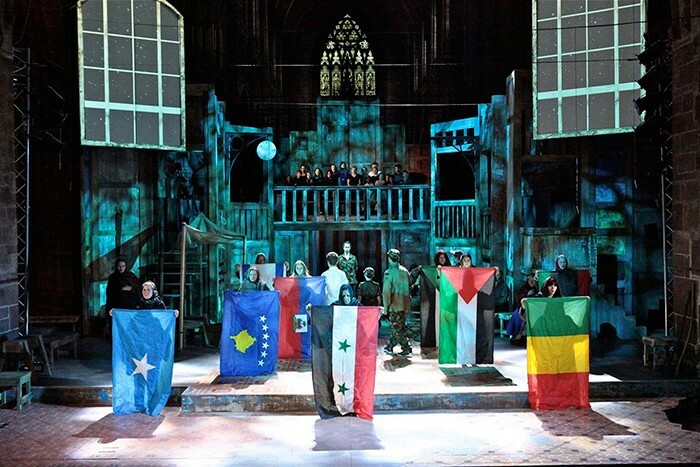 Dating from the 13th century, the “Chester Mystery Plays” production involves hundreds of amateur actors, volumes of volunteer work and a great audience from different corners of the U.K. and from all over the world. 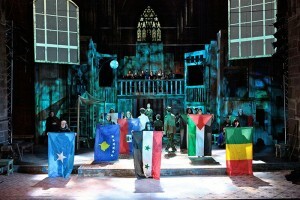 Organized every five years outdoors, this year’s performances took place for the first time ever in the Chester Cathedral’s nave, where about 100 Chauvet Professional fixtures lit the set. During the “Resurrection” scene Ellis used Chauvet Professional Ovation F-165WW Fresnel fixtures to reveal the empty tomb with a blinding effect. “The 'blinding light' then becomes a full-stage picture for the Ascension while Jesus' transformation is shown on the AV screens, high above the stage,” he said. Chauvet Professional Q-Wash 560Z-LED wash lights provided a strong facial accent lighting. “These were located 15 meters up in the Nave Triforium Galleries with a remarkable output for such a small unit over that throw and good color rendering. They also doubled for color toning effects,” Ellis said. Chauvet Professional Q-Spot 560-LED moving yoke spot units were rigged alongside the Q-Wash 560Z-LED fixtures to give area accent lighting for creating 'moments' in the action, as well as for gobo washes. For really strong accent moments Ellis used Legend 1200E Wash fixtures as uplights for the 'power moments' of Heaven/ Hell/Tempest that required a real 'blast of light' that could shoot 25 meters up into the Tower or light up the glorious roof decoration of the 100-meter Nave. 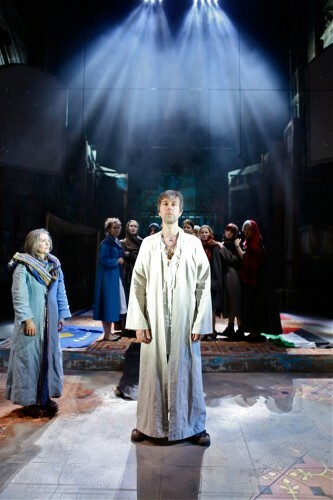 Mystery Plays were created all across Europe from the 13th century as a means of celebrating the stories of the Old and New Testaments for the Feast of Corpus Christi. Originally performed inside the churches, from the 14th century they were produced by Crafts Guilds and performed in the open streets and market places on pageant carts ("waggons"). Performed by local people, the scripts and performances changed each year to remain current and have popular appeal.